I have been working with individuals, couples, families and groups in Wimbledon and Clapham area (Private Clinics and NHS) over the last 9 years. I work with genuine care, empathy and am non- judgemental. I am very passionate about helping and offer a warm and nurturing space for you to explore any issues. Integrative Counsellor with a background in business management. I understand the stresses of working to deadlines, managing other people's expectations and holding responsibility at a high level. I have worked as a primary counsellor, family therapist, a group facilitator in various settings and ran parenting skills, family andivorce groups. Home visits are also available, this is particularly popular with couples and families who find it difficult to schedule their diaries for the clinic setting appointments - it is also potentially available to individuals if this would work better for you - please do contact me for further details and availability. I am registered with BUPA, AXA and Vitality Health and accept patients who hold current medical insurance with the stated companies. I have been working with individuals, couples, families and groups in South London (presently in Wimbledon and Clapham) area (Private Clinics and NHS) over the last 9 years. Integrative Counsellor and Supervisor with a background in business management. I understand the stresses of working to deadlines, managing other people's expectations and holding responsibility at a high level. 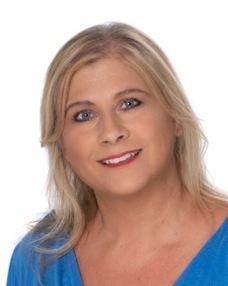 I have worked as a primary counsellor, family therapist, group facilitator, trainer, line manager and clinical supervisor in various settings and ran parenting skills groups, divorce support groups, education, training and employment training, as well as drug and alcohol addictions training. Home visits are also available, this is particularly popular with couples and families who find it difficult to schedule their diaries for the clinic setting appointments - it is also potentially available to individuals - please do contact me for further details and availability. In clinical supervision, we would be looking to cover qualitative, resourcing and developmental elements - our meetings will reflect and review clinical situations with your clients - the aim is supporting you in your professional environment.